Amazon is planning to open new grocery stores in urban areas of the U.S., according to a report from the Wall Street Journal. Unnamed sources told the publication that the company is trying to expand its grocery footprint beyond its Whole Foods Market chain. The new stores will be smaller than most traditional supermarkets but larger than a typical convenience store. The stores will reportedly make customer service a top priority and have a wider selection of items than Whole Foods. Online shopping and delivery options will also be available. Amazon has plans to open one of the new stores in Los Angeles as early as the end of this year, sources said. Leases have also been signed for locations including San Francisco, Seattle, Chicago, Washington, D.C., and Philadelphia. The Journal noted that the launch of the new grocery stores coincides with a rocky period for the traditional grocery market. "The timing of Amazon’s store development comes during a difficult period for the roughly $1 trillion food and consumer-product retail sector, which already deals with low margins and extreme competition," warns the publication. Amazon, which acquired Whole Foods in 2017 for $13.7 billion, has been expanding the availability of its Prime Now online grocery delivery and pickup program since early last year. Prime Now is currently available at Whole Foods stores in 63 cities for delivery and 22 markets for pickup. The e-commerce giant has also expressed an interest in growing its lineup of cashierless Amazon Go convenience stores. Amazon now runs 10 Go stores in Seattle, San Francisco, and Chicago. 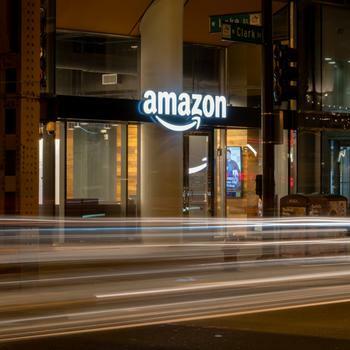 Media reports have suggested that Amazon plans to open as many as 3,000 Go stores over the next several years, which could also take a toll on brick-and-mortar food retailers. The Journal’s report didn’t say whether or not the company’s upcoming grocery stores will rely on the technology that enables shoppers to skip the checkout line at its Go stores. Amazon to close all of its pop-up kiosks across the U.S.